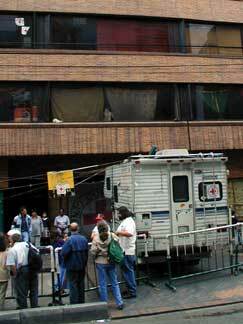 Approximately two years ago, a group of displaced persons visited the International Red Cross building in downtown Bogota. And then refused to leave. 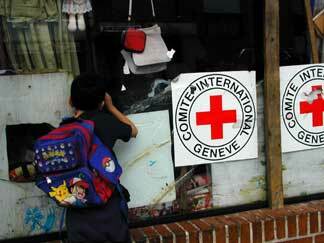 Four months later the Red Cross moved out of the building and the displaced people stayed. 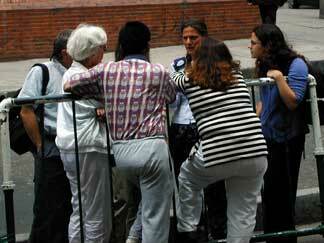 Bogota authorities placed barricades around the building and now control access. 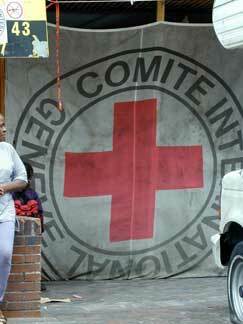 Showing both restraint and humanity, government officials have not attempted to remove the people from the building. 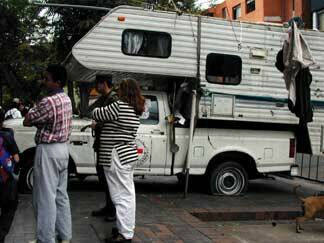 Some "high ranking" individuals in the private sector of Bogota claim most of the people who say they are displaced and living in the building are really squatters or welfare cheats. The people were friendly and eager to share their stories. 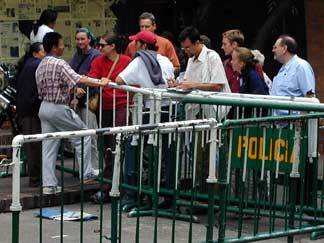 Barricades surround the building and at first we were only allowed to communicate over them. Eventually we were allowed inside the encampment by the authorities, but only after allowing them to hold our passports. 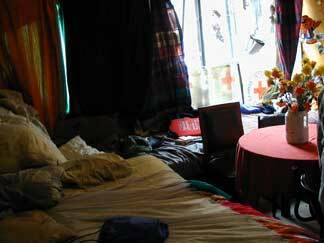 Former office and now the bedroom of a displaced family. Mother and son. Today was his birthday.